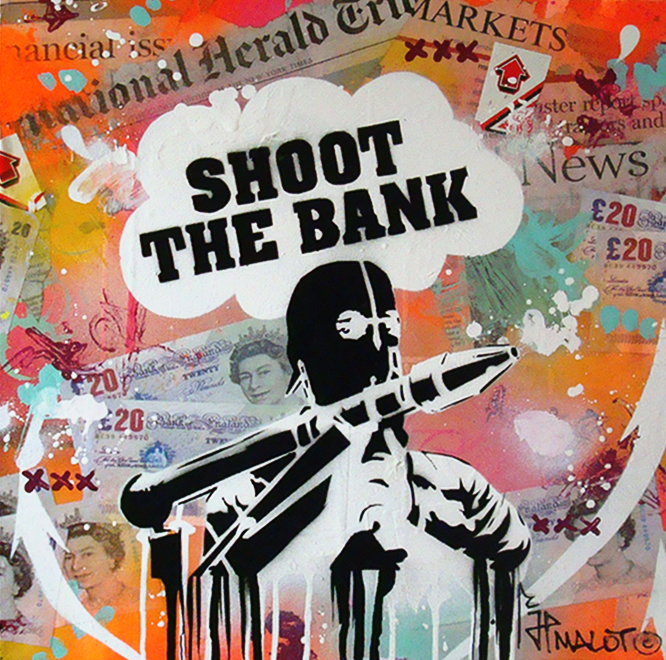 SHOOT THE BANK 40x40 cm. JP Malot. Mars 2011.